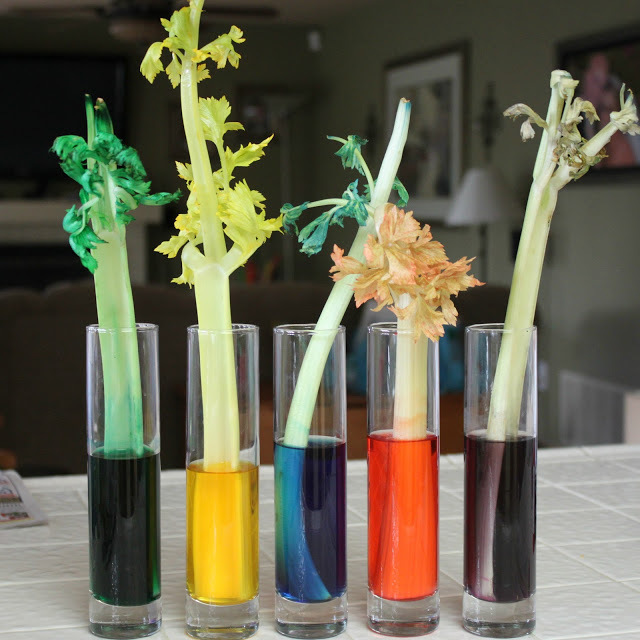 Teach students about how plants absorb nutrients and water through tubes called xylem. Will different colored water be transferred from the root and change the color of the leaves on a plant? Fill the each container about halfway with water. Add a few drops of food coloring to the water and stir. Have an adult cut the bottom of the celery stalk straight across leaving the leaves attached to the stalk. Place the celery stalk in the glass, cut end first. Set the glass somewhere where it will not be disturbed overnight. The next day, record any changes. Science4Us works per efficacy study by McRel! View our free projects, lessons, songs & more. ExploreLearning, Science4Us, Gizmo, Gizmos, and Reflex are registered trademarks of ExploreLearning.